There was a refrain frequently heard on early episodes of TV’s CSI: Crime Scene Investigation. 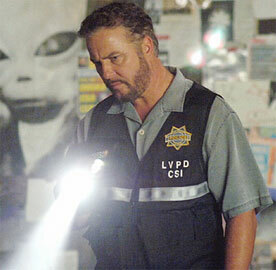 Gil Grissom was training rookie crime scene investigators, sharing with them his many years of experience in the field. Grissom would often say, “Follow the evidence…” The understanding was that just following the evidence would lead to the perpetrator of the crime. Following the evidence would lead to the truth. In the world of TV crime scene investigation, this might usually work as a sound philosophy. Even there, occasionally writers and producers have explored the possibility that the evidence can be tainted by factors related to those investigating it. The evidence is not always interpreted objectively and thus conclusions (right or wrong) can still ultimately be reached on the basis of prejudice or gut feeling. The philosophy sounds good in principle, but it doesn’t always work out in practice. Moving into the real world, the principle of “follow the evidence” is the basic philosophy behind much of Christian apologetics today. Walk into a vanilla Christian bookstore these days and if they have an apologetics section, likely everything there will be based on this principle. Lee Strobel is popular with his The Case for a Creator, The Case for Faith, and The Case for Christ. I won’t discount everything he writes in these books, but it should be noted that his basic principle is the same as CSI Grissom: follow the evidence. The same is true for the majority of others writing on the subject of apologetics today. For that reason alone, this principle needs critical evaluation. Yet there is another reason why we should pause for careful reflection. We’re in the throes of debate on the compatibility of Christianity and evolution. We ought not to kid ourselves, these issues are not going away. If the historical experience of the Christian Reformed Church is any indication, we should expect proponents of theistic evolution to keep trying until they not only make room for their position, but also gain converts to the point of having their position as the dominant one. In this discussion, the allegation has been made that young university students have been sent into turmoil when encountering the evidence for evolution. As the story has it, these students were taught creation science at home, church, and school. They were told that the evidence made it clear that God had created the world ex nihilo (out of nothing) in six ordinary days some thousands of years ago, not millions or billions. Arriving at university, they encounter a different batch of evidences not previously considered. This sends their faith into a tailspin and, so the story goes, some of them even end up committing suicide. On a superficial level, we can join in bemoaning this approach to such issues. Here is some common ground with those attempting to make room for theistic evolution in our churches. We can agree that something has gone awry with those young university students, though we would still likely disagree on the details. From their perspective, the problem rests with creation science which produces faulty evidence because of certain faith convictions regarding creation. From our perspective, staking your faith on extra-biblical evidences is always problematic. Let me explain why. Evidential apologetics is a philosophy of defending the faith which rests upon the use of evidence. This system of apologetics is usually traced back to Joseph Butler (1692-1752), an Anglican bishop. Butler lived during the time of the Enlightenment, also known as “The Age of Reason.” Serious challenges were being posed against the Christian faith. Rationalism, the belief that reason could provide the basis of all knowledge, had infiltrated not only society, but also many churches. The Enlightenment was a weak period for theology, and Reformed theology was also affected (or better: infected). Butler recognized that Enlightenment philosophy endangered the Christian faith. In particular, he saw the danger deism posed. Deism is the belief that God is a clockmaker. He created the universe and then wound it up like a clock. He removed himself from it and is no longer intimately involved with it. According to deism, God takes an arms-length approach to the world. Butler rightly saw that this philosophy was in conflict with the teachings of the Bible. In 1736, Butler published a book entitled The Analogy of Religion. This work was a response to deism. It was a defense of the faith. Butler aimed to show there are no sound objections to the Christian religion. He said all the evidence, especially the evidence in the natural world, points to the very probable truth of Christianity. As long as a person doesn’t ignore the abundance of evidence, he or she should not reject the Bible or any of its teachings. Unprejudiced minds, said Butler, would see the design inherent in the world and almost inevitably reach the conclusion that there is a Creator. A fair evaluation of the external evidence would likely push the open-minded unbeliever to accept the Bible. Butler purposed to demonstrate the truth of the Bible through facts, evidence and logic – and he believed it was not only possible to do this, but also pleasing to God. When evaluating Butler’s approach, we have to remember the importance of what we call presuppositions. These are our most non-negotiable beliefs or assumptions about the way the world really is. Butler was an Arminian and one of his presuppositions was that man had not fallen so far as to completely corrupt his thinking. He did not confess the doctrine of pervasive (or total) depravity found in the Canons of Dort, but repudiated it. This had consequences for his system of apologetics. So did another related presupposition: the freedom of the will of fallen man. According to Butler and other Arminians, fallen man retains free will to choose for or against God. He need only use his faculties rightly in order to make the right choice. While Butler saw the dangers of the Enlightenment and wanted to combat deism in particular, the weapons of his warfare were earthly and unscriptural. 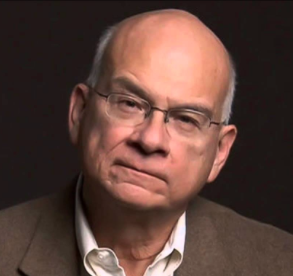 We might wish that Butler was a mere footnote in the history of Christian apologetics, but unfortunately his approach became widely accepted. Much of what we see today in non-Reformed (“evangelical”) apologetics finds its historical roots in the Arminian apologetics of this Anglican. Evidential apologetics, historically and in its modern form, makes its case based not only on the evidence (and the nature of evidence), but also on a certain understanding of human nature. According to this system, human nature is not pervasively depraved. The human intellect is not fallen or dead in sin, only weakened or sick. Neutrality is not only possible, but a reality. When confronted with the evidence, and with perhaps a little help from God, the unprejudiced man will recognize the truth and turn to the Bible and believe it. This is Arminian theology applied to apologetics. Unfortunately, this system has been appropriated by many involved with creation science. Many creation scientists have been Arminian in their theological convictions, so this should not come as a surprise. It is only consistent for Arminians to adopt evidential apologetics, whether in general, or whether specially applied to the question of origins. Inconsistency emerges when Reformed believers adopt this approach. “Following the evidence” is not our way. When we approach the question of evidence, we need to do so with Reformed, which is to say biblical, presuppositions. There are several of them we could discuss. However, in the interests of time and space, let me restrict our discussion to two of the most important. These are the presuppositions — the non-negotiable beliefs that will govern how we consider the place and use of evidence in apologetics. The first is our confession regarding the nature of fallen man. As Ephesians 2:1 puts it, the unregenerate person is dead in transgressions and sins. This spiritual death extends to all the parts of a fallen human being: heart, mind, and will are all without a sign of life. When it comes to the Christian faith, fallen man does not have the capacity to interpret the evidence rightly. What the fallen man needs is regeneration. He needs to be made alive by the Holy Spirit. The Holy Spirit needs to open his eyes so that he may see, understand, and believe. The Holy Spirit does this work of regeneration through the Word of God. Therefore, the Word of God, not external evidences, needs to be the focus of our apologetical efforts. From a Reformed perspective, apologetics involves bringing the Word of God to bear on unbelief to expose its futility and to vindicate and commend the Christian worldview. A second necessary presupposition builds on that. We always start with a belief that the Bible is God’s inspired, infallible, and inerrant Word. Those doctrinal positions are not conclusions that we reach through reasoning and proofs. They are held in faith. We hold to what is called the self-attesting authority of Scripture. That means the Bible attests or confirms its own authority. It does not need to be proven. The Bible claims to be the Word of God and we receive it as such. This is a settled truth for Christians. Therefore, the Bible is the basis and standard for all our apologetics. We are defending the Bible and the biblical worldview, but the Bible is also the guide for how we defend the Bible. The Bible gives us the means and strategies to use in defending the Bible. Where does that leave external evidences? Well, for one thing, we do not build our system of apologetics upon them. Instead, our system has to be grounded on the Word of God. The Word is the supreme authority, not outside evidence. The Holy Spirit does not promise to regenerate people through external evidences. He does promise to do that through the Scriptures, though it is not inevitable in every case, obviously. What’s more, because evidence is always interpreted evidence, and the interpretation is always done by sinful minds, evidence must always be evaluated according to the supreme standard of the Word of God. Since there are no neutral facts or neutral methods for considering the facts, the Word must always be recognized as standing over the facts. It must be the grid through which the “facts” are sifted. There is a place for evidence in apologetics and in the debate about origins. Evidence from outside the Bible can corroborate the Bible’s teachings. However, it is not the starting place, nor is it the authority. Moreover, external evidences can be fickle. What was thought to be evidence in one generation can turn out to have been misinterpreted by the next. How do you stay off what one writer called “the evidentialist roller coaster”? How do you stand firm against humanists and theistic evolutionist compromisers? Not by retreating to evidence, but by standing firm on what the Word of God teaches. And by evaluating all evidence in the light of the Word of God. That also means being open to the possibility that external evidences, whether for or against biblical teaching, may be wrongly interpreted. When it comes to evidences, one should retain a level of skepticism. After all, creation scientists and humanists/theistic evolutionists are all human beings, prone to sin and to mistakes. The only firm foundation is the Word of God. “Follow the evidence” might be acceptable for fictional TV characters, but in God’s world his children can’t accept this procedure when it comes to apologetics. To “follow the evidence,” as if we are all neutral observers of the world is to sell out on our fundamental presuppositions. It’s regrettable that the surge of interest in apologetics has led some in our Reformed community to dabble with evidentialist apologetics. It’s sad too that we have often imbibed these apologetics as mediated to us through some creation scientists and their organizations. Thankfully, in the last number of years, some creation scientists have adopted a Reformed, presuppositional approach to the question of origins. Most notable are Dr. Jonathan Sarfati and Dr. Jason Lisle, both affiliated with Answers in Genesis. Some time ago I reviewed Lisle’s book, The Ultimate Proof: Resolving the Origins Debate, and I want to take this opportunity to again commend it to you as a good example of how to apply Reformed apologetics to this issue. Some of Lisle’s final words in The Ultimate Proof provide a suitable conclusion: “Our defense of the faith comes from learning to think and to argue in a biblical way. God is logical, and we should be too. God tells us that all knowledge is in him (Col. 2:2-3), so we should train ourselves to recognize this fact” (173). An earlier version of this article was originally published in Reformed Perspective magazine. It appears here with their gracious permission.